The modular cave project is progressing well. I drew this 9th level this summer on my stand during the RPGERS game festival. A fairly simple small cavern with two accesses. This level can just as well be used alone and incorporate into your current game. This could be an underpass to cross a small mountain or a hill. 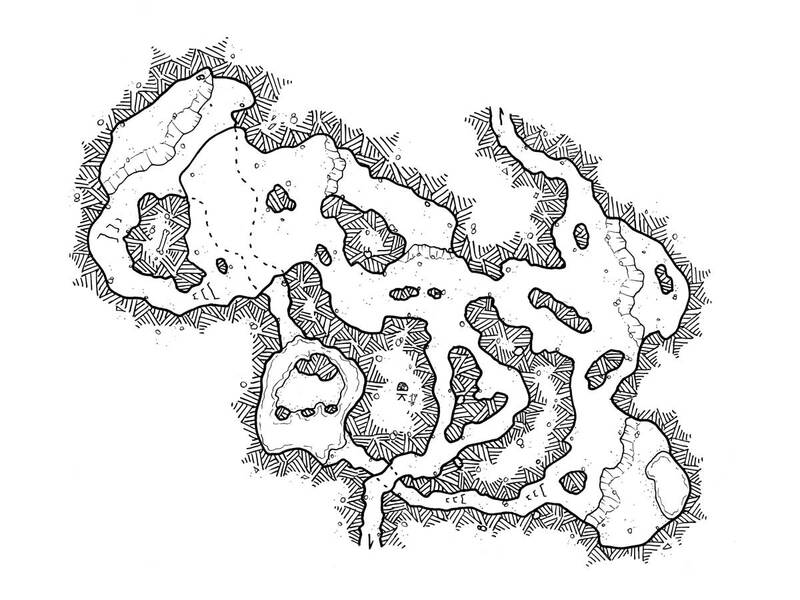 This cave could be populated by all kinds of usual vermin or it could be the occasion to embark your PCs in a terrible massive machination during a meeting with dissidents of an underground secret society.